Responding to the urgent need for assistance with stabilisation and development in Ukraine, the European Commission adopted the State Building Contract programme, which is worth €355 million. Ukraine is now facing severe economic difficulties and security challenges as a result of the tragic events on Maidan square, the illegal annexation of Crimea, and the conflicts in the East and South of the country. Therefore, responding to the urgent need for assistance with stabilisation and development in Ukraine, the European Commission adopted the State Building Contract programme, which is worth €355 million. 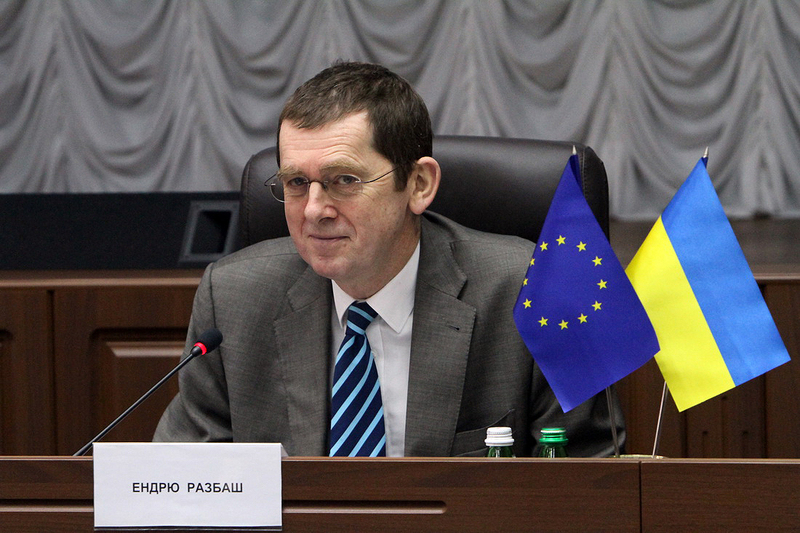 “The State Building Contract is an unprecedented action that the EU is taking to support Ukraine in the very particular circumstances the country has found itself in over the last few months,” said Andrew Rasbash, head of the co-operation section of the EU Delegation to Ukraine, at a May 21 briefing. According to Rasbash, the State Building Contract’s key goal is, “to support real transition in the way Ukraine governs itself.” The programme also aims to contribute to “real changes and reforms” in Ukraine, he adds. However, the extreme levels of corruption and poor governance under the previous administration have made it very difficult to successfully pursue the reform and European integration agenda to which Ukraine’s government is committed. These were also the main reasons why previous EU assistance was ineffective, Rasbash admits. Among the conditions Ukraine is obligated to meet as part of the programme, the fight against corruption is of utmost importance. In this regard, Rasbash highlights the need to establish an anti-corruption bureau that would investigate cases of high-level corruption. Furthermore, the government must devote more attention to elaborating the strategies and necessary legislative framework to create public administration reform. Сivil society activists will play the role of watchdogs, monitoring the Ukrainian government’s progress toward the implementation of programme conditions. Based on their assessment, the EU will report on the government’s success, Rasbash stressed. “We are confident that Ukraine can change the way it governs itself and can move along the path to European integration,” Rasbash concluded. The May 21 EU Delegation briefing aimed at raising Ukrainian journalists’ awareness of the State Building Contract and of the conditions the government is obliged to meet within the implementation of this programme. During the event, the EU Delegation officials sought to explain the main goals and the anticipated results of the implementation of the State Building Contract in Ukraine. On April 29, the European Commission adopted a special support package for Ukraine, including the State Building Contract programme, which is worth €355 million. The programme aims to help Ukraine’s government address short-term economic stabilisation needs and implement governance reforms in order to promote good governance, more accountability, and inclusive socio-economic development. The State Building Contract includes concrete steps towards building transparency and fighting corruption, and will help improve the government’s ability to respond to citizens’ demands and needs. Two installments are foreseen within the programme: the first (worth €250 million) is expected to be allocated to Ukraine’s government soon; disbursement of the rest of the funds will be conditional on the progress of reforms in the following areas: anti-corruption, public finance management, civil service, constitutional reform, electoral legislation, and justice.